"Absolutely love Dr. Dipak & his staff always friendly & courteous. Listens attentively to our concerns and explores all options to address them." "Always very happy with our doctor, staff and the visit." "Dr. Dipak Kholwadwala is very courteous. He has a great bedside manner that has always made my daughter comfortable. Even his fellow was good with her." "Dr Dipak and everyone else was great and lovely to deal with..."
"Dr. Kholwadwala was amazing! He put my daughter at ease from he walked in with his calm and friendly demeanor. They spoke about who they were rooting for in the U.S. Open! " "Dr. Dipak always quizzes me to make sure I fully understand how my body works and what my options for the future are! " "Dr. Dipak is an outstanding doctor. He is not only an expert in his field, he is kind, compassionate and understanding. We wouldn't trust our son with anyone else. We would highly recommend Dr. Dipak." "Dr. Dipak was caring, informative, friendly and professional. We are truly happy he is who saw our son, James." "Explained possibility of another type of surgery that may be available. Could not have asked for a better explanation. Excellent!" "I was happy with my visit with the Dr. I left confident that my child was in good hands"
"Dr. Dipak and his staff were great!" "will highly recommend to any family or friends who are suffering from any form of cardiac issues to this facility. North shore L.I.J ( cohens children medical center), the hands and the skills of your MDs are the reason why my son is alive today from age 1 day to 8 years old. I thank you very much." "Dr. Kholwadwala is an exceptional physician who was able to give me peace of mind." "Excellent team, the doctor, nurses, especially Jennifer Vasserman, everybody is very nice." 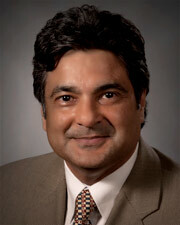 "Dr. Dipak is one of the most caring & knowledgeable physicians that I know. I would recommend him to family and friends." "Good bed side manner. Address the questions to my daughter - Which was great!!" "Dr. Dipak and his office and team were great and took time to explain the procedure as well as being patient with our 2 year old."